When I have some time, I’d like to explore that topic at length here. But, in the meantime, there’s a great conversation going on over at Eugene Cho’s blog on this issue. Eugene has an excellent commentary on recent events involving Joe Wilson’s heckling of the president and, just yesterday, Jimmy Carter’s suggestion that Wilson’s outburst was rooted in racism. Please check it out. Also, check out this inspiring story at Leadership Journal‘s Out of Ur blog about how the recession is actually forcing some churches to become multiethnic. Lively conversation happening over at The Atlantic on Ta-Nehisi Coates’s blog. His post “The Myth of Black Confederate Soldiers” reminds me of conversations I’ve had in the past with folks who attempt to downplay the role of slavery and race in the Civil War. This is always surprising to me. I’ve told the story before about how, when I was editor of Today’s Christian, I heard it big time from Confederate sympathizers who took me to task for publishing an article about the origin of “The Battle Hymn of the Republic.” Silly me; I didn’t anticipate that emotions were still so raw over the outcome of the war. At the same time, I find it both revealing and truly miraculous that we can get on as fellow believers quite well (and, heck, you might even be a faithful reader of a magazine that I edit), yet we can hold fundamentally different views on issues so central to who each of us are. I think this is a testament to the unifying power of God’s love—but also to the fact that there are a lot of difficult things still left to talk about, if we ever hope to move our relationships from thin to thick. In any event, the discussion following Coates’s post offers some good food for thought. Here’s a piece that I posted earlier at UrbanFaith.com. Let the wall-to-wall Michael Jackson coverage continue. As soon as I heard the tragic news about his passing yesterday afternoon, I knew it would mean nonstop fodder for all the CNNs and WGCIs and TMZ.coms (sorry, Farrah). This will be just like Princess Di’s death, I thought. And for a brief moment, it was just as shocking and unexpected. Then, after a few minutes, the horrible truth sank in: Michael Jackson had already died many years ago. Or at least that’s how it felt. Maybe it was around 1992. That’s when the plastic surgeries and ever-whitening skin began to morph him into something more noticeably un-real. Or perhaps it was back in the early ’70s, when, under the harsh rule of a demanding stage parent, he was not allowed to be a child, but then years later didn’t seem to understand how to be an adult, either. Many of us used to think that Michael Jackson’s constantly changing looks were the result of his desire not to be black. The narrowed nose, straightened hair, and lightened skin all suggested a person who was attempting to escape his genetic fate. Yet, Jackson always spoke about being proud of his racial heritage. And his continued influence on the black urban and hip-hop artistic communities was immense, despite the fact that he appeared to be running away from his race. Could it be, as Chicago Tribune columnist Clarence Page has suggested, that Jackson was not trying to escape his race so much as the image of his father that he saw in the mirror? The truth is, despite all the controversy and dysfunction and tragedy in his life, Jackson was one of the great pop-culture reconcilers of our time. Like Joe Louis, Jackie Robinson, Nat King Cole, and Bill Cosby (as well as many others), Jackson broke down racial barriers by virtue of his talent and ability. I recall seeing white girls in 7th grade walking the halls with the Thriller album in their hands and thinking, Wow, white people like Michael Jackson too? Before that, in my limited 12 or 13 years of life, I had never seen white people so publicly claiming a black pop star as their own. But for the ’80s generation, Michael Jackson demolished the walls. Everyone, regardless of race, talked about the “Thriller” video or Jackson’s legendary performance on the Motown 25 TV special or whatever Jackson’s latest fashion statement happened to be. Of course, we also talked about his problems and freakish behaviors later on. But my sense is that there always was more sympathy than condemnation for this man whom so many once wildly celebrated. I was about 8 when Elvis died in 1977, and I remember not knowing much about who the guy was until that day. Suddenly, I received a whirlwind education on “the King” and his importance in music and pop culture. In death, Elvis Presley became real to me. I suspect it may be that way for many younger folks today as the tragic figure that Jackson became in his latter years takes a backseat to the musical legacy of one of the greatest entertainers the world has ever known. No one knows what the condition of Jackson’s spiritual life was at the time of his death, whether or not he’d made peace with God. The assumption is he was still searching, still unfulfilled, still trying to recapture the success of his ’80s heyday while trying to escape the fallout of that same success. Today, we fondly remember our favorite Michael Jackson songs: “I’ll Be There,” “Rock with You,” “Beat It,” “Black or White.” We celebrate the joy he brought us as an artist. But we also pray that, perhaps in his final moments of life, he was finally able to see things clearly. Over the last week or so, I’ve been absorbed in Catherine Claire Larson’s new book, As We Forgive: Stories of Reconciliation from Rwanda. If you’re interested in a deeper understanding of what happened in Rwanda in 1994, or a deeper understanding of the miraculous process of reconciliation, I commend this great book to you. Last month marked the 15th anniversary of the horrific Rwanda genocide, and the wounds are still apparent in the country. However, despite physical and emotional scars, something dramatic is happening among the Rwandan people. Survivors are forgiving those who killed their families. Perpetrators are truly repenting and doing practical acts of reconciliation to demonstrate their remorse, like building homes for those whose families they killed. God is moving. I highly recommend that you check out Catherine Larson’s compelling and well-written book, as well as the award-winning film that inspired it. 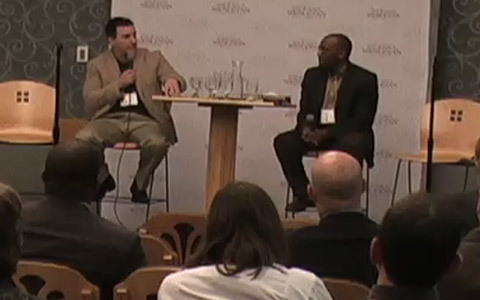 Also, once again, don’t forget to read, link to, and pass along the UrbanFaith interview with Larson. Growing up in Rockford, Illinois, back in the early ’80s I remember watching Sneak Previews on the Chicago public television station, WTTW, Channel 11. 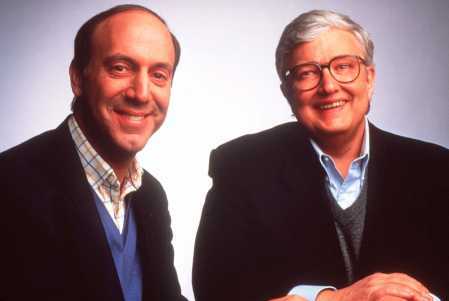 This was the very first incarnation of the movie review show that would eventually launch its hosts, film critics Gene Siskel and Roger Ebert, into pop-culture superstardom. In my opinion, they are the greatest American film critics–and I don’t just say that because they’re Chicago guys, though it was cool to know they were based here. I still have fond memories of those early Sneak Previews shows. In fact, I can remember how excited I was to see Siskel and Ebert’s reviews of what would become some of my favorite childhood movies–Superman II, Raiders of the Lost Ark, Clash of the Titans. Sneak Previews eventually went into commercial syndication as At the Movies and finally Siskel & Ebert & the Movies. I loved those two guys together. Siskel was a Yale graduate and didn’t stomach foolishness that easily; Ebert was often the one with more populist tastes. But they both had very high standards. I loved the way they’d argue about movies. Sometimes it looked like the taller Siskel wanted to strangle his rotund partner, but then in the very next segment they would fall all over each other in agreement. I loved their passion for the movies and celebration of good art. I loved their “two thumbs up” (or “two thumbs down,” when a movie deserved it). But mostly, I loved watching their friendship evolve. Even as they bickered and mixed it up, you could tell these two guys genuinely cared for each other. In a way, their relationship reminds me of what real reconciliation is about. The goal isn’t to always agree or pretend to get along in a superficial way. It’s about deep, passionate, and honest relationship. One where we might lay into each other sometimes, but by the end of the episode it’s clear that we love each other and that we’ll be back in the same aisle seats next week. Gene Siskel and I were like tuning forks. Strike one, and the other would pick up the same frequency. When we were in a group together, we were always intensely aware of one another. Sometimes this took the form of camaraderie, sometimes shared opinions, sometimes hostility. But we were aware. If something happened that we both thought was funny but weren’t supposed to, God help us if one caught the other’s eye. We almost always thought the same things were funny. That may be the best sign of intellectual communion. Gene died ten years ago on February 20, 1999. He is in my mind almost every day. I don’t want to rehearse the old stories about how we had a love/hate relationship, and how we dealt with television, and how we were both so scared the first time we went on Johnny Carson that, backstage, we couldn’t think of the name of a single movie, although that story is absolutely true. Those stories have been told. I want to write about our friendship. From there, Ebert shares an eloquent flood of memories, both funny and sad. Even if you weren’t fans of this pair, you might want to have some tissue handy. I encourage you to read the piece and think about the depth of the friendships in your own life. And as you do, please say a prayer for Mr. Ebert.